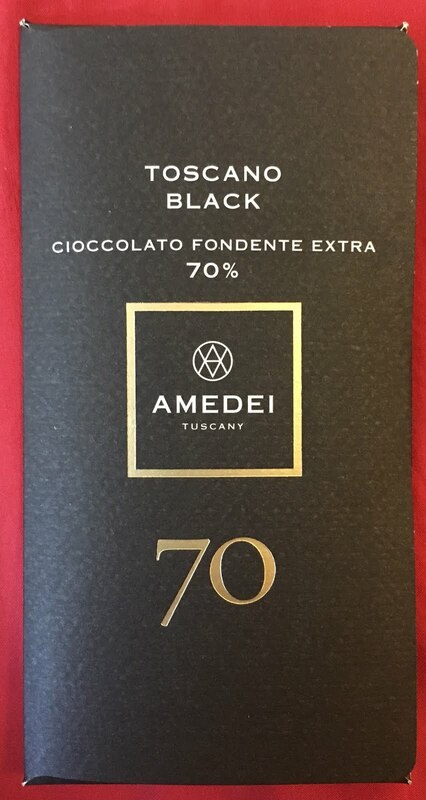 This is one of my favorite bars, and Amadei makes many which you can try. When you do, compare it with some of the other bars from say Valrhona. I did a tasting in my class at UCA a while back where I used one of Amadei's bars made with cacao grown in Trinidad, and a Valronha Grand Cru using cacao beans from Trinidad. Of course you can do it with a craft bean to bar chocolate too, just pick one which identifies were the beans come from so you can use that as a comparison. Do such a tasting when your taste buds have been washed with water, and perhaps first thing in the morning,(why not? Many people have a sweet with coffee or tea). A small piece-don't gobble it up, let it melt in your mouth, and then follow it up with a second small piece of the same bar without rinsing your mouth. Notice the different tastes. Then do it with the other bar, only rinse your mouth with water before you try the different bar. Don't be afraid to treat yourselves.